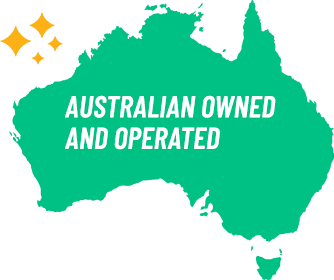 This site is created and controlled by australiathegift.com.au in Queensland, Australia; as such the laws of Australia shall apply; courts in Australia shall have jurisdiction in respect of all the terms, conditions and disclaimers. australiathegift.com.au reserves the right to make changes to the site and the terms, conditions and disclaimers. “Australia the Gift Shopping”/ “Site” means the online shopping platform owned and operated by australiathegift.com.au. (“australiathegift.com.au “), which provides a venue to the users of australiathegift.com.au to buy the products listed on Australia the Gift Shopping. “Vendor”/”Seller” shall mean the person or any legal entity who offers for sale, sells the products on Australia the Gift Shopping. “Customer” / “Buyer” shall mean the person or any legal entity who accepts the offer for sale on Australia the Gift Shopping by placing an order for and or purchases any products offered for sale on Australia the Gift Shopping. “User”/ “You” means and includes you and/or any person or an entity including Vendor/Seller using or accessing the services provided on this Site. australiathegift.com.au may at any time modify the terms and conditions (“Terms”) of the Service without any prior notification to you. You can access the latest version of the Terms at any given time. You should regularly review the Terms. In the event the modified Terms are not acceptable to you, you should discontinue using the service. However, if you continue to use the service you agree to accept and abide by the modified Terms. To avail of and use the Services you will have to register with Australia the Gift Shopping. As a part of registration process you agree to provide Australia the Gift Shopping current, complete, and accurate registration information (the “Registration Data”) as prompted to do by the Service and to maintain and update this information as required to keep it current, complete and accurate. If you provide any information that is untrue, inaccurate not current or incomplete or australiathegift.com.au has reasonable grounds to suspect that such information is untrue, inaccurate, not current or incomplete, australiathegift.com.au has the right to indefinitely suspend or terminate your membership and refuse to provide you with access to Australia the Gift Shopping. You shall be responsible for maintaining the confidentiality of your password, which you will not be under an obligation to reveal to any representative or agent of australiathegift.com.au. You agree and understand that Australia the Gift Shopping service is advertising supported and you grant australiathegift.com.au the right to disclose the aggregate Registration Data to third parties in connection with marketing the Services. Furthermore, you agree and grant australiathegift.com.au the right to use your individual Registration Data to provide targeting of advertisements and other Service offers. You shall notify [email protected] of any known or suspected unauthorized use(s) of your account, or any known or suspected breach of security, including loss, theft, or unauthorized disclosure of your password. Users consents to receive communications from australiathegift.com.au electronically. australiathegift.com.au will communicate with Users by email or by posting notices on the Site. You agree, understand and acknowledge that Australia the Gift Shopping is an online shopping platform, a venue enabling the users to buy any product listed on Australia the Gift Shopping at the price indicated on the terms and conditions indicated therein at any time from any place. You further agree and acknowledge that Australia the Gift Shopping is not involved in any sale and purchase of goods/products listed on this Site. Australia the Gift Shopping is only a facilitator, an intermediary and is not and cannot be a party to or control in any manner any transactions between the Vendor/Seller and the Customer/Buyer. Australia the Gift Shopping shall neither be responsible nor liable to mediate or resolve any disputes or disagreements between the Users. Australia the Gift Shopping shall neither be liable nor responsible for any actions or inactions of Vendors and/or Sellers or any breach of conditions, representations or warranties by the Vendor or manufacturer of the products. The Site is a channel of communication whereby the Users can reach a larger base to buy and sell items or services. Australia the Gift Shopping is only providing a platform for communication and it is agreed that the contract for sale of any of the products or services shall be a strictly bipartite contract between the Seller and the Buyer. At no time shall any right, title or interest over the items vest with Australia the Gift Shopping nor shall Australia the Gift Shopping have any obligations or liabilities in respect of such contract. Australia the Gift Shopping is not responsible for unsatisfactory or delayed performance of services or damages or delays as a result of items, which are out of stock, back ordered, returned undelivered or otherwise unavailable. All items are offered only for a restricted time and only for the available supply/till stock lasts. Australia the Gift Shopping accepts no liability for any errors or omissions, whether on behalf of itself or third parties. Australia the Gift Shopping is not responsible and shall not be responsible for any non-performance or breach of any contract entered into between Users. All orders shall be pre-approved with an acceptable method of payment as established by Australia the Gift Shopping which may call for and require additional verification or information. You agree, understand and confirm that the credit card details provided by you for availing of services on Australia the Gift Shopping will be correct and accurate and you shall not use the credit card which is not lawfully owned by you. You further agree and undertake to provide the correct and valid credit card details to Australia the Gift Shopping. Further the said information will be not be utilized and shared by Australia the Gift Shopping with any of the third parties unless required by law, regulation or court order. Australia the Gift Shopping shall not and is not required to mediate or resolve any dispute or disagreement. You release and indemnify Australia the Gift Shopping and/or any of its officers and representatives from any cost, damage, liability or other consequence of any of the actions of the Users of the Site and specifically waive any claims that you may have in this behalf under any applicable law. Notwithstanding its reasonable efforts in that behalf, Australia the Gift Shopping cannot control the information provided by other Users which is made available on the Site. Australia the Gift Shopping shall be responsible to deliver the items to the Customer within the time period specified. Customer shall be solely responsible for any undelivered or damaged items if they choose to purchase insurance or tracking through Australia Post. Customer shall be solely responsible to make good the loss or damage of any claim in respect of damaged or non-receipt of items. If your actions may cause any harm, damage or loss to the other Users or Australia the Gift Shopping. Illegal and/or unauthorized use of the Service, including unauthorized framing of or linking to the Australia the Gift Site will be investigated, and appropriate legal action will be taken, including without limitation, civil, criminal and injunctive redress. User agrees to defend, indemnify and hold harmless Australia the Gift Shopping, australiathegift.com.au, its employees, directors, officers, agents and their successors and assigns from and against any and all claims, liabilities, damages, losses, costs and expenses, including attorney’s fees, caused by or arising out of claims based upon the use of User’s actions or inactions, including but not limited to any warranties, representations or undertakings or in relation to the non-fulfillment of any of its obligations under this Agreement or arising out of the User’s infringement of any applicable laws, regulations including but not limited to Intellectual Property Rights, payment of statutory dues and taxes, claim of libel, defamation, violation of rights of privacy or publicity, loss of service by other subscribers and infringement of intellectual property or other rights. australia the gift.com.au has made this service available to use as a matter of convenience. australia the gift expressly disclaims any claim or liability arising out of uploading of any obscene, vulgar or pornographic images, photograph or a picture or altering or distorting the images available under this service in an obscene, vulgar or pornographic manner. User agrees and acknowledges that user shall be solely responsible for user’s conduct and that australia the gift.com.au reserves the right to terminate your rights to use the service immediately, notwithstanding penal provisions under the australian cyber laws or any other allied laws enacted by the government of australia or any other statutory, legislative or regulatory authority authorized in this regard from time to time. In no event shall australia the gift.com.au be liable for any direct, indirect, punitive, incidental, special or consequential damages or for any damages whatsoever including, without limitation, damages for loss of use, data or profits, arising out of or in any way connected with the use or performance of the australia the gift sites/services for interrupted communications, delay, lost data or lost profits arising out of or in connection with this agreement, even if australia the gift.com.au has been advised of the possibility of damages, or inability to use the australia the gift sites/services or related services, the provision of or failure to provide services, or for any information, software, products, services and related graphics obtained through the australia the gift sites/services, or otherwise arising out of the use of the australia the gif sites/services, whether based on contract, tort, negligence, strict liability or otherwise, even if australia the gift.com.au or any of its suppliers has been advised of the possibility of damages. australia the gift.com.au does not endorse in anyway any advertisers/ contents of advertisers on its webpages. The clause shall survive the termination or expiry of this agreement. The information about the products published on Australia the Gift Shopping site are provided by australiathegift.com.au on the basis of the information received from the product manufacturers and vendors and are on an “as is where is” basis. australiathegift.com.au makes no representations or warranties of any kind, express or implied, as to the operation of the site, the information, content, materials or products, included on this site. To the full extent permissible by applicable law, australiathegift.com.au disclaims all warranties, express or implied, including but not limited to, implied warranties of merchantability and fitness for a particular purpose. australiathegift.com.au will not be liable for any damages of any kind arising from the use of this site or any of the products offered, including but not limited to direct, indirect, incidental, punitive and consequential damages. australiathegift.com.au only facilitates the sale of products between the Vendor and the buyer and does not directly or indirectly sell or retail any products. australiathegift.com.au expressly disclaims any warranties whether express or implied about the suitability, reliability, availability, timeliness, quality, conitunity, performance, lack of viruses or other harmful components and accuracy of the information, software, products, services and related graphics contained within the australia the gift sites/services for any purpose. All such information, software, products, services and related graphics are provided “as is” without warranty of any kind. australiathegift.com.au hereby disclaims all warranties and conditions with regard to this service, software, products, services and related graphics, including all implied warranties and conditions of merchantability, fitness for a particular purpose, workmanlike effort, title and non-infringement. Including intellectual property rights. users specifically agree that australia the gift.com is not responsible for any content sent using and/or included in an australia the gift site/service by any third party. Advice received via the australia the gift sites/services should not be relied upon for personal, medical, legal or financial decisions and you should consult an appropriate professional for specific advice tailored to your situation. If any part of this agreement is determined to be invalid or unenforceable pursuant to applicable law including, but not limited to, the warranty disclaimers and liability limitations set forth above, then the invalid or unenforceable provision will be deemed to be superseded by a valid, enforceable provision that most closely matches the intent of the original provision and the remainder of the agreement shall continue in effect. Unless otherwise specified herein, this agreement constitutes the entire agreement between the user and australiathegift.com.au with respect to the Australia the Gift sites/services and it supersedes all prior or contemporaneous communications and proposals, whether electronic, oral or written, between the user and Australia the Gift with respect to the Australia the Gift sites/services. australiathegift.com.au’s failure to act with respect to a breach by you or others does not waive its right to act with respect to subsequent or similar breaches. This agreement is governed and construed in accordance with the Laws of Union of Australia. You hereby irrevocably consent to the exclusive jurisdiction and venue of courts in Queensland, Australia in all disputes arising out of or relating to the use of the Australia the Gift sites/services. Use of the Australia the Gift sites/services is unauthorized in any jurisdiction that does not give effect to all provisions of these terms and conditions, including without limitation this paragraph. You agree to indemnify and hold australiathegift.com.au, its subsidiaries, affiliates, directors, officers and employees, harmless from any claim, demand, or damage, including reasonable attorneys’ fees, asserted by any third party due to or arising out of your use of or conduct on the Australia the Gift sites/services. australiathegift.com.au’s performance of this agreement is subject to existing laws and legal process, and nothing contained in this agreement is in derogation of australiathegift.com.au’s right to comply with governmental, court and law enforcement requests or requirements relating to your use of the Australia the Gift sites/services or information provided to or gathered by australiathegift.com.au with respect to such use. australiathegift.com, Australia the Gift Shopping, and any other expression that contains the word “Australia the Gift” are the worldwide trademarks of australiathegift.com.au. These trademarks may not be used in connection with any product or service that is not that of australiathegift.com.au. All items carry our 30-Day Money Back Guarantee. If, for any reason, you are not totally satisfied with your purchase, you may return your items unused, in original packaging within 30 days of purchase for refund of the purchase price (excluding delivery charges). For faulty items, please contact our office, between 8:00am and 4:00pm Monday – Friday (AEST), on either [email protected] or +617 3352 4789 before returning any goods. In the case of clothing purchases, please be aware that items will incur a $10 drycleaning fee should the item be returned marked with make-up, deodorant or any other visible stain. We will delivery nationally or internationally (selective countries) using Australia Post. Registered Post, Insurance, and Express Post are options available. Do not accept responsibility for lost or damaged goods in transit, if the customer does not choose to pay for the option to insure or track.